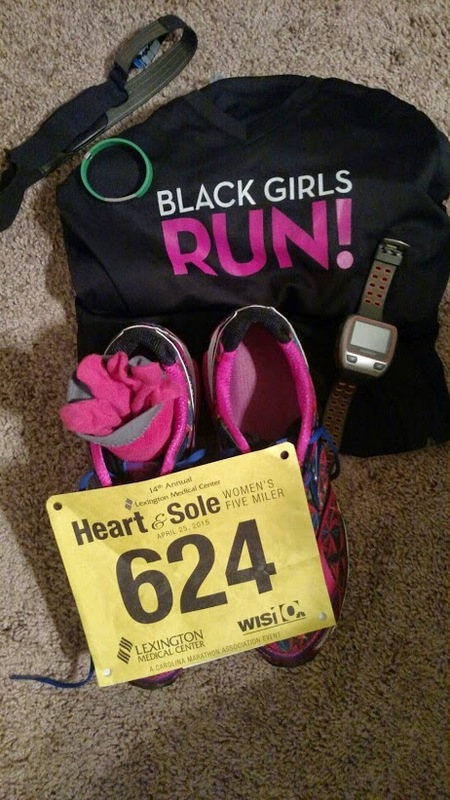 With the Heart & Sole Women’s Five Miler being a women’s only road race, I just had to be there and represent for my crew; Black Girls Run! (BGR) Columbia. 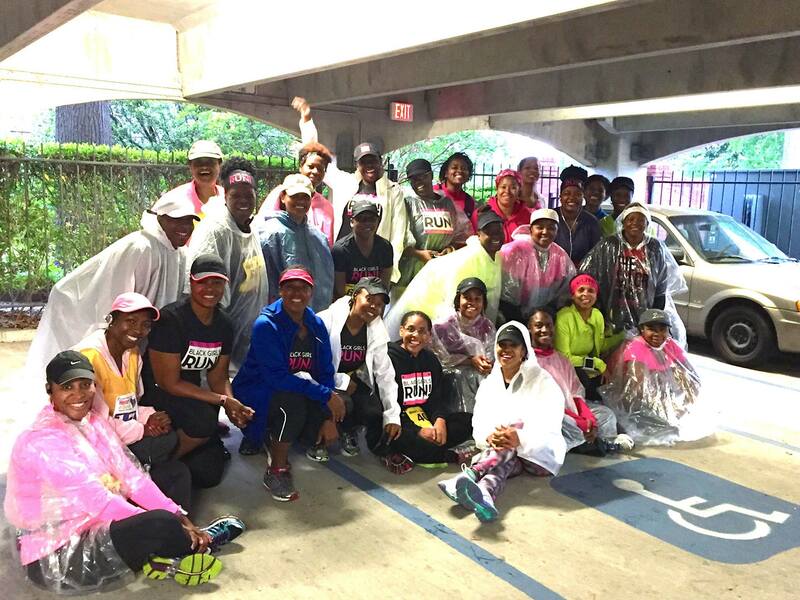 We had over 30 BGR sole sistahs sign up and participate in the race. 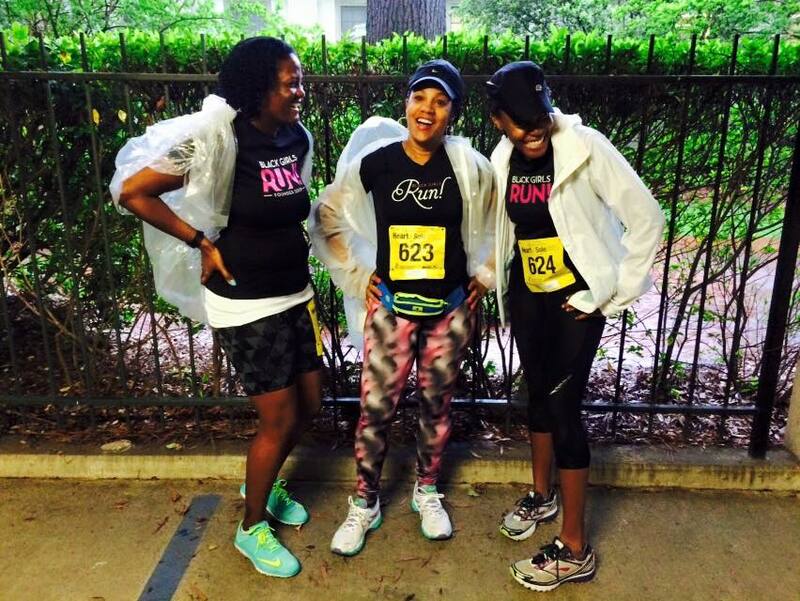 We even ran and/or walked in the rain. 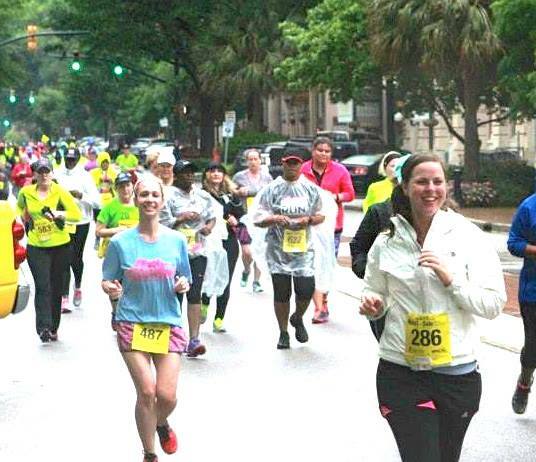 This race, was established in 2002, and is an event that is strictly for women put together by women. 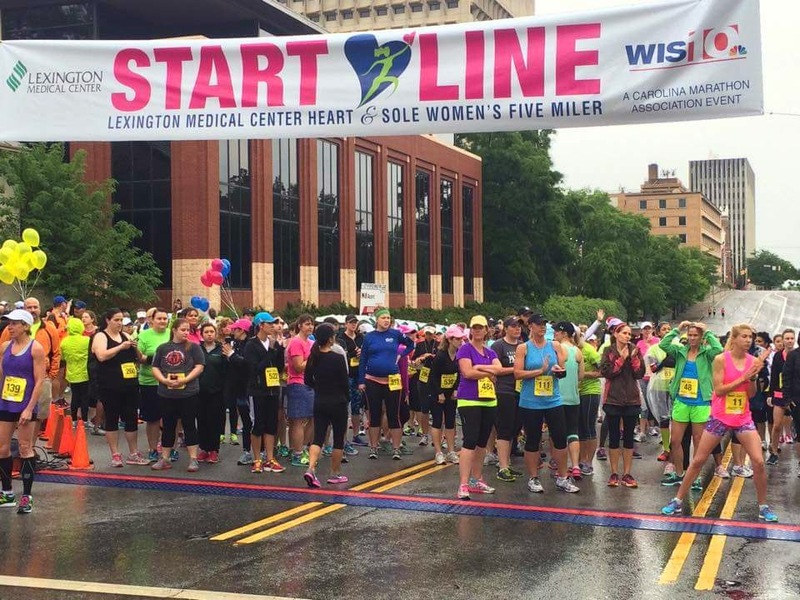 I loved the fact that the Heart & Sole calls attention to heart disease in women. 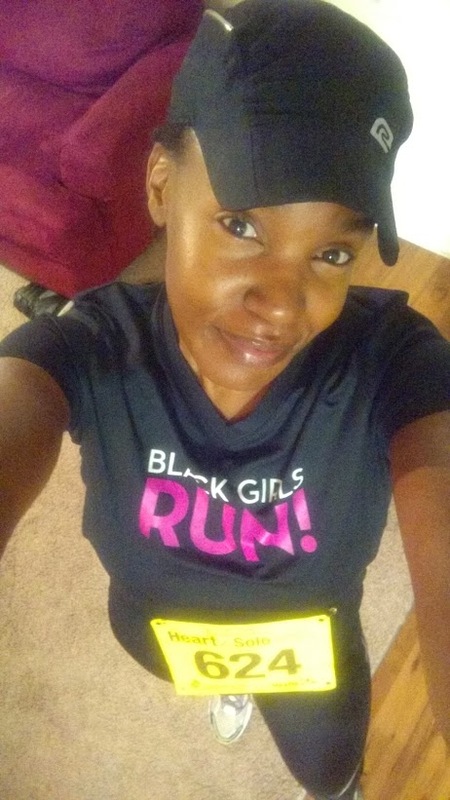 I was more than happy to participate in this year’s run, knowing that the proceeds provided complimentary entries for certain women in the community who were identified at risk for heart disease, women who couldn’t afford the race fee and women with heart conditions that couldn’t afford cardiac rehabilitation. Pretty simple process….walk in, go to your designated table, get your bib and t-shirt, leave and that was that. Found out later that the expo was held after the race. Whew, I was ready to go in on that process 🙂 . Per usual, I got my stuff all ready the night before the race and laid every thing out for in the morning. I was ready to take this run nice and slow. Race day morning, the sky was so unkind. The sky must have known I wasn’t feeling 100 percent about this run and cried for me 🙂 . I mean, it was really coming down. 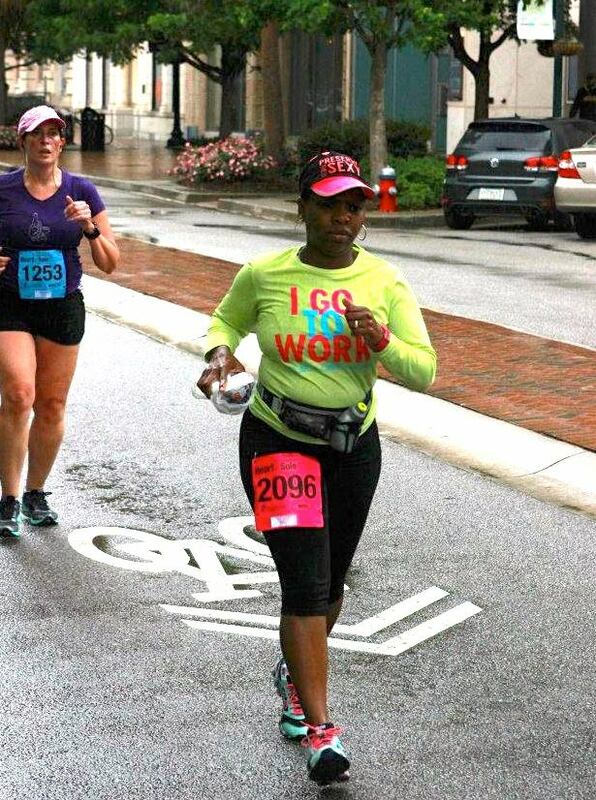 I wasn’t too worried about the weather because I also train in the rain. But my hamstring on the other hand was a different matter. Oh well, I got dressed and headed out the door by 7:15. Met up with BGR! Columbia for a group photo. 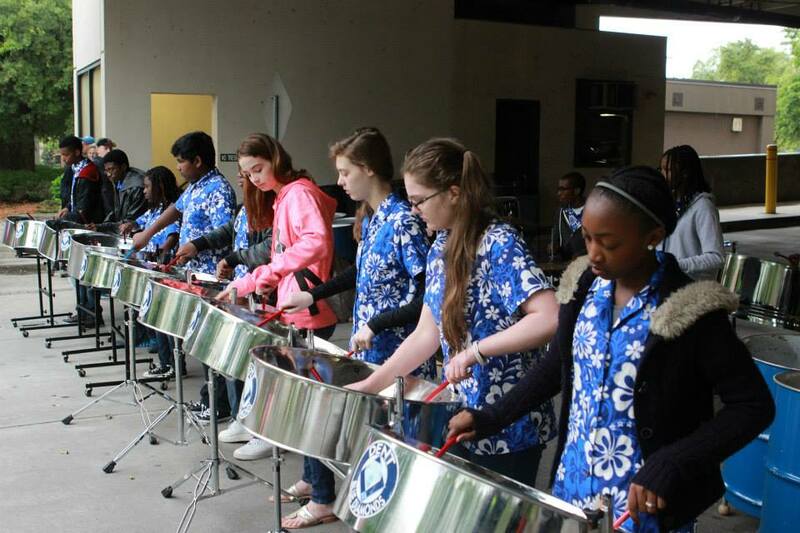 This really was a BGR! takeover. 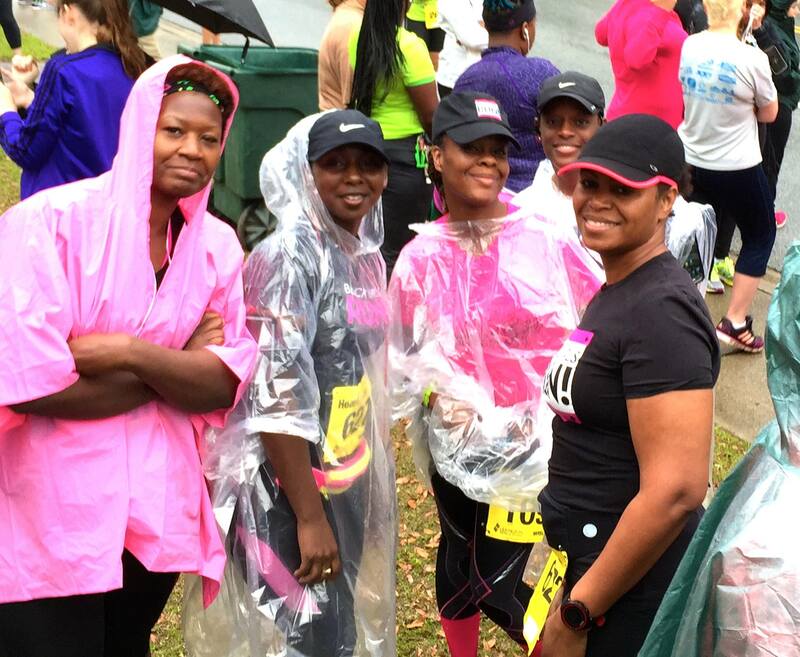 We had over 30 sole sistah sign-up and participate in this race. 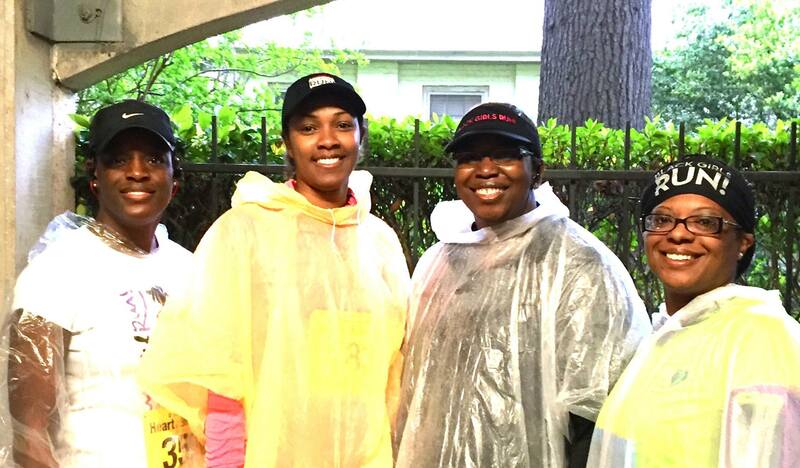 Even though the weather was horrible, this was an awesome race experience (pain and all). 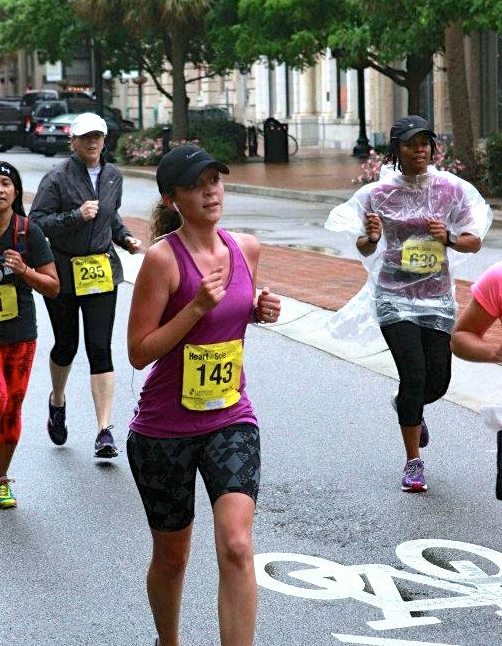 My game plan going into this race was to just take my sweet little time and really enjoy the run. Since I had a half the following day and my hamstring was bothering me, I really just wanted to take it easy. 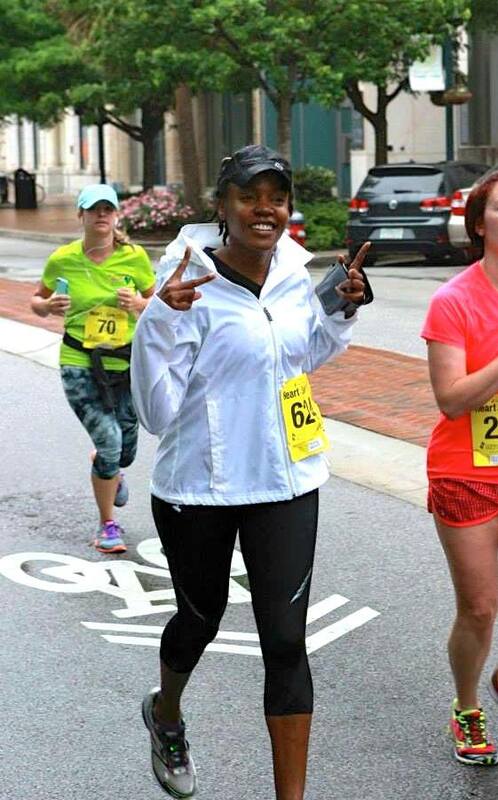 Can you believe I ran without music? If you have been reading my post…you know I DON’T DO THAT!!! This wasn’t my best five mile run but I didn’t let that bother me. 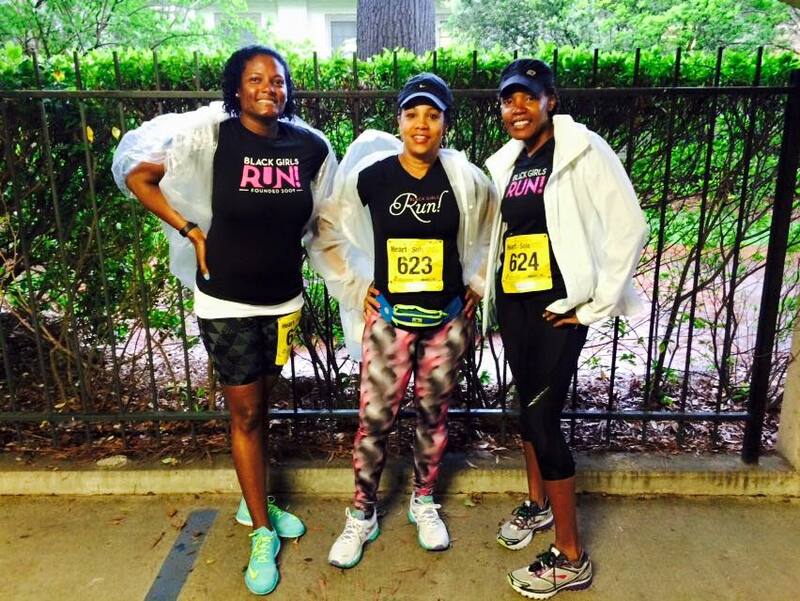 I really enjoyed being out on the pavement with my sole sistahs supporting a great cause. The course was set-up with plenty of water stations and tons of entertainment. 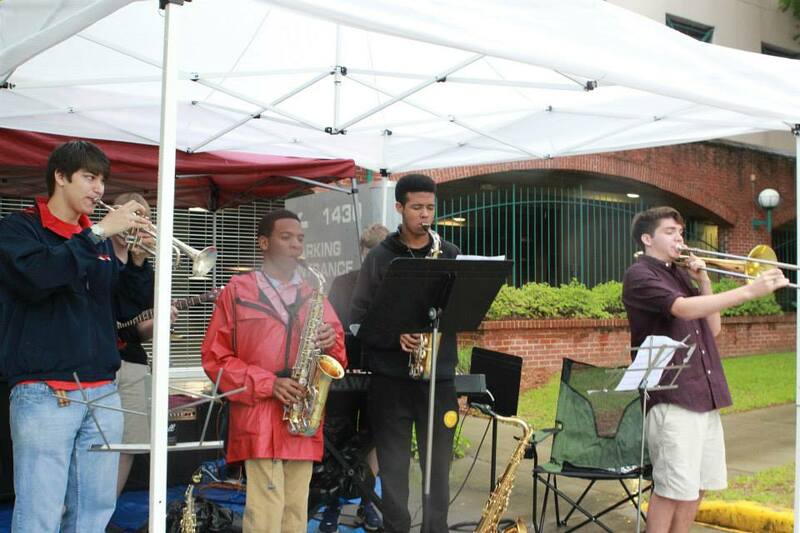 I loved running by and hearing different high and/or middle school bands playing along the course. 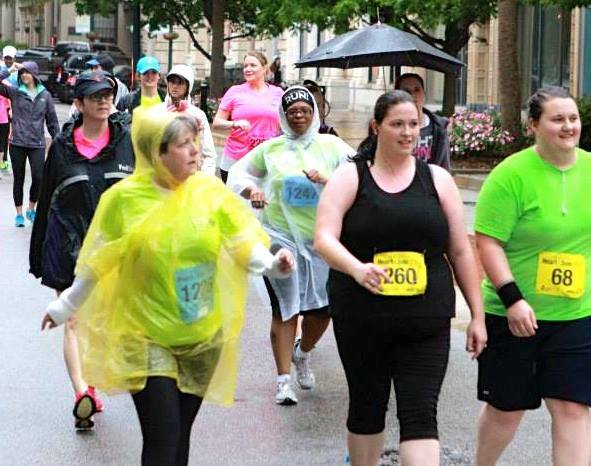 By the time I finished the race, it was pouring. Even still, the race volunteers greeted us with a smile, a rose and a medal (which is rare for smaller distance races). 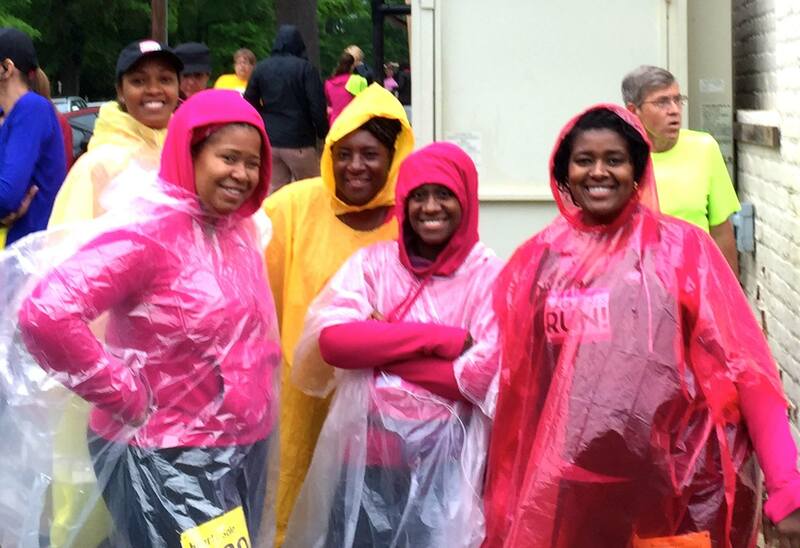 The rain didn’t even stop the runners from checking out the Health and Wellness Expo set-up in Finlay Park. Runners were able to enjoy some post race snacks (the chocolate covered strawberries were the best) and find tons of information on healthy living. 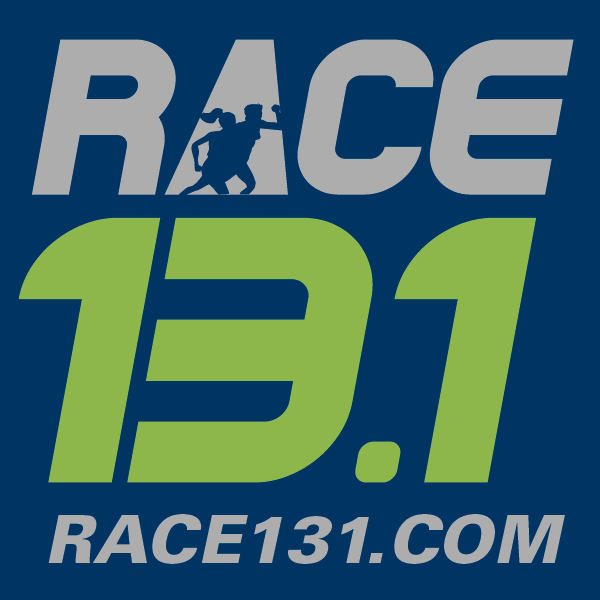 I will definitely sign up for this race again next year (have to get a better time down for ‘my’ record books). I also highly recommend this course for any newcomers. 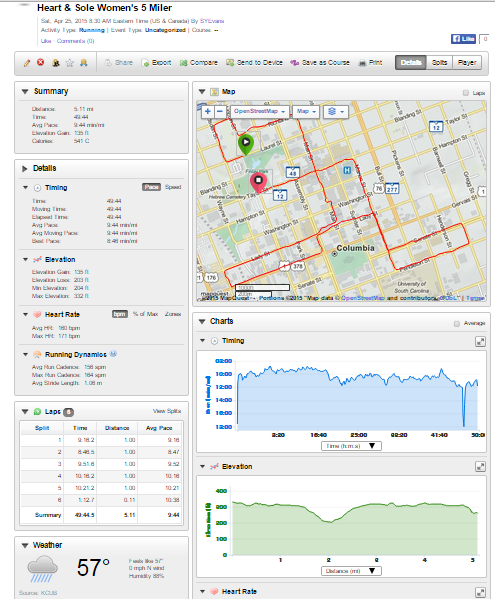 Very easy course with the only major pain (I meant hill) being Gervais street (but even that wasn’t that bad).